I left Facebook in December of 2014, and have been nothing but pleased with that decision ever since. (Here are my latest reflections on two years Facebook-free.) 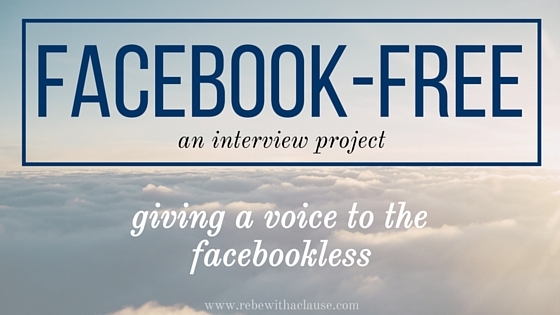 To show that this is actually a viable option, I created an interview series to feature others who have also left Facebook. Want to be featured here? Or know someone who has left Facebook? Shoot me an email (rebewithaclause [at] gmail [dot] com).